Specializing in herniated/bulging discs, stenosis, fibromyalgia, headaches, sports injuries, reflex sympathetic dystrophy, auto accidents and work related injuries. Dr. Poller is recognized as an expert in the treatment & documentation of worker's compensation cases and is highly regarded by many leading personal injury attorneys. 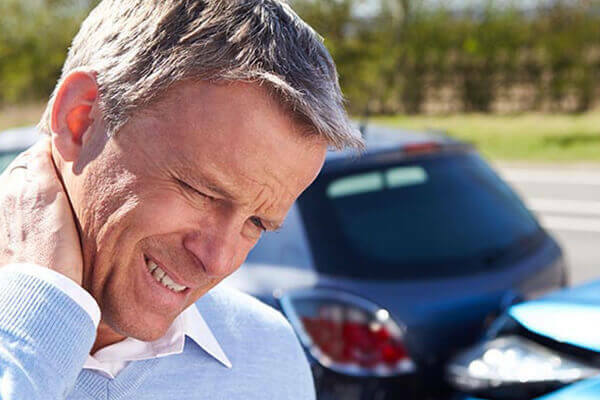 Whiplash and soft tissue injuries can lead to chronic conditions if left untreated. We are experienced in working with insurance companies on behalf of our patients. Bergen Spine & Rehabilitation is a multi-disciplinary clinic offering the latest treatments in chiropractic care and physical therapy. Bergen Spine & Rehabilitation provides chiropractic care and injury rehabilitation for patients of all ages in the Bergenfield, NJ area. Book your appointment for chiropractic care with Dr. Wayne Poller at Bergen Spine & Rehabilitation in Bergenfield, NJ. Call (201) 387-2800. Our multi-disciplinary practice provides specialties and techniques to best support the healthcare needs of all ages. We offer chiropractic and physical therapy services and work with orthopedists, neurologists, radiologists (MRI facilities) and pain control specialists to help patients recover from injury. Our team of licensed physical therapists help patients regain health and strength to get back to doing the things they love to do. Dr. Wayne Poller heads up our team and is recognized as an expert in his field. We accept most insurances and help patients get through the difficulties of dealing with injury. Why Choose Bergen Spine & Rehabilitation, LLC? Since 1980, we have helped patients regain health. Dr. Wayne Poller’s qualifications are extensive and our experience sets us apart. Dr. Poller is an expert in the treatment, documentation and substantiation of traumatic injuries. He has testified as an expert witness in court to help resolve cases and he is highly regarded by many leading personal injury attorneys. Our team is compassionate and very helpful in getting necessary forms and paperwork submitted to insurance. We are always ready to help our patients get through difficulties associated with injury. We offer offer low dose radiation digital x-ray at the office and provide chiropractic adjustments and manipulation, physical therapy, electrical muscle stimulation, cold laser therapy, ultrasound, and spinal decompression as therapy options. We are a multi-disciplinary clinic with a large variety of specialties and techniques to best support the needs for all members of the family.